Barcelona, Spain – Mobile World Congress – February 23, 2014 – Mozilla, the mission-based organization dedicated to keeping the power of the Web in people’s hands, today announced new developer reference hardware and tools that will continue to accelerate momentum around the Firefox OS ecosystem, making it cheaper, faster and easier for developers, operators and OEMs to deploy innovative Web apps and create personalized Firefox OS experiences. Mozilla announced a 4.5” dual-core reference phone, enabling developers to test new Firefox OS features and apps against different memory configurations. It also expanded the Mozilla tablet program that helps developers test their apps and build out Firefox OS for tablets. New Firefox OS PhoneGap integration was also announced, allowing hundreds of thousands of PhoneGap developers to port their existing apps to Firefox OS in a matter of hours, while new WebAPIs will continue to narrow the gap between native and Web apps. At Mobile World Congress, Mozilla also launched developer tools that will allow OEMs and operators to easily customize Firefox OS for a variety of customer segments. Developers have always been the key to driving innovation around the Web, and continue to enable it as a platform for app development and distribution. With these new reference devices, tools, and WebAPIs, Mozilla is catalyzing the growth of Web apps and continuing to break down the barriers and restrictions inflicted by other app ecosystems. The Web not only simplifies app development and reduces fragmentation, but allows developers to own the direct customer relationship with the option to host their own apps and or sell them through the Firefox Marketplace. Vision Mobile recently published a report showing that developer interest for Firefox OS continues to grow, capturing 7% of developer mindshare in just six months. The report also highlighted that during Q1 2014, 52% of developers were already using HTML5 for mobile websites or Web apps with an additional 16% indicating their intention to join them. A recent survey by Strategy Analytics found that the number of mobile app developers building for Firefox OS is expected to triple this year, showing the biggest rise in developer interest of any mobile platform. This industry momentum is fueled by the fact that there are already millions of Web developers programming in HTML5 who are eager to target mobile without having to learn a new programming language, or pay engineers to target specific mobile platforms. 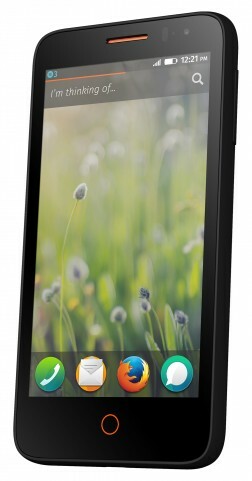 At Mobile World Congress, Mozilla is showcasing its new developer reference phone, the Firefox OS Flame, enabling developers to test the capabilities of Firefox OS in a real environment with a mobile network and true hardware characteristics like the accelerometer, NFC and camera. Like the commercially available Firefox OS phones, the Flame developer reference phone is powered by a Qualcomm processor, in this instance a high powered 1.2GH dual core processor, so developers can test their more processor-intensive games and apps with ease. Developers looking to target their apps for specific Firefox OS phones with lower memory footprints also have the option to alter the RAM capacity of the Flame, from 1GB to 256MB, to see how their apps would perform on lower specked phones. The Flame also provides developers and early adopters with access to the latest Firefox OS builds to test nightly releases and contribute to the overall development platform. Firefox OS will be supported in the next release of PhoneGap, the leading developer tool for building apps across platforms. This builds on the recently announced Firefox OS integration with Cordova, a popular Apache Foundation open source project that allows HTML5 applications to be packaged as native apps. App Manager brings the Firefox Web developer tools to mobile app developers. It shows how the power of the Web helps developers test, deploy and debug Web apps on Firefox OS phones directly from their desktop. The Firefox Web developer tools are already used by millions of Web developers for creating Web pages, and now the App Manager extends these capabilities to mobile app creation, with the same familiar workflow. There is no SDK to download, developers simply use the App Manager as part of the integrated developer tools in the Firefox browser. Because the App Manager and Firefox OS both use open Web technologies, debugging, live editing and prototyping is straightforward. For example, an operator or OEM may want to prototype different branded homescreen themes for different audiences. Using the App Manager, they can code this on their desktop and in real-time see the changes appear on their connected Firefox OS phone, eliminating lengthy build times. To see how this is done, please see this MDN article. There are now more than 30 Mozilla-pioneered WebAPIs with at least eight new APIs introduced in the last year, including WebNFC and Data Store API. These new APIs build more functionality and features into the Web for app development. There is increasing industry adoption as these APIs move towards standardization. Samsung added the Vibration API and Battery Status API to WebKit, while tools like Apache Cordova and Adobe’s PhoneGap now integrate six of the most popular WebAPIs into their products. Mozilla recently introduced a tablet contribution program aimed at accelerating the build of Firefox OS for tablets and its supporting ecosystem, with Foxconn as the first hardware partner. As part of the Firefox OS tablet contribution program, VIA is offering a 7” Vixen reference tablet for developers around the world to help the Mozilla community complete the build of Firefox OS for tablets. Developers can now apply to be a part of this program from this Mozilla Hacks post.